Space is mysterious. We explore space for many reasons, not least because we don’t know what is out there, it is vast, and humans are full of curiosity. Each time we send explorers into space, we learn something we didn’t know before. We discover a little more of what is there. Design a collector’s card, with a picture on the front and information on the back, about your favorite space pioneer. Share your card and discuss four other space pioneers with your counselor. 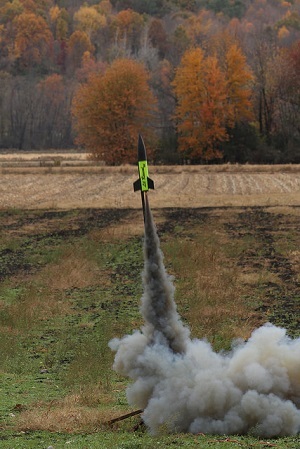 Build, launch, and recover a model rocket. 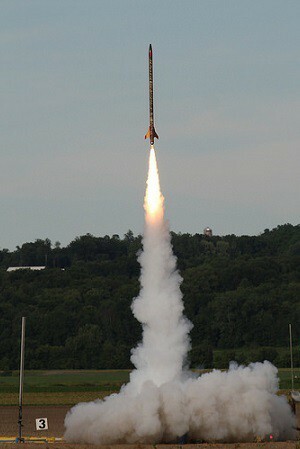 * Make a second launch to accomplish a specific objective. 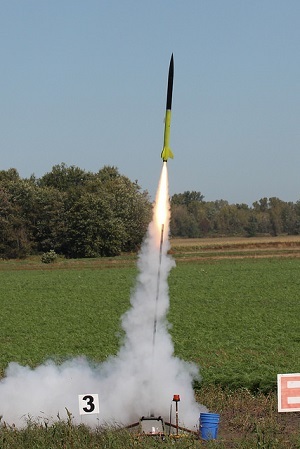 (Rocket must be built to meet the safety code of the National Association of Rocketry. 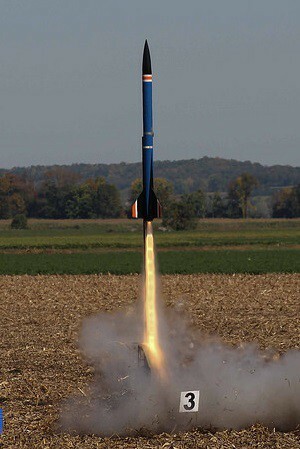 See the “Model Rocketry” chapter of the Space Exploration merit badge pamphelt.) 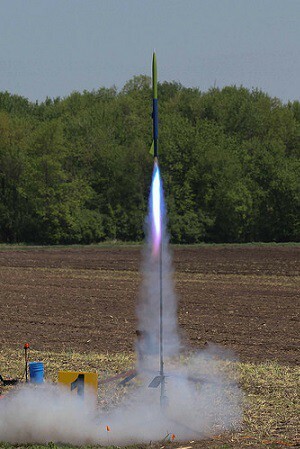 Identify and explain the following rocket parts. 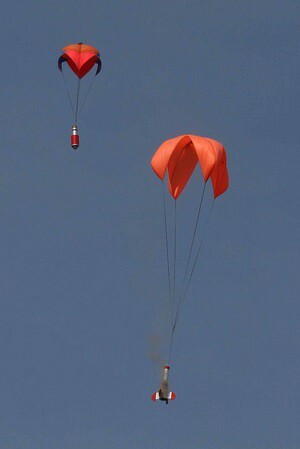 launch to accomplish a specific objective. 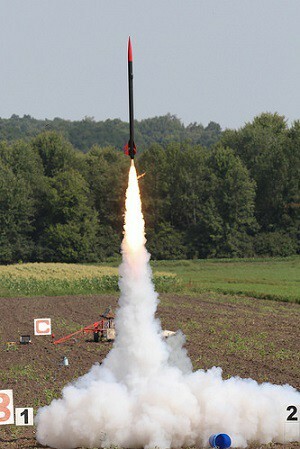 (Rocket must be built to meet the safety code of the National Association of Rocketry. 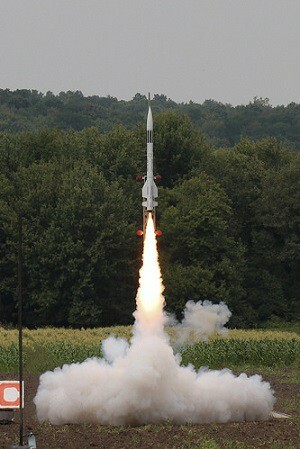 See the “Model Rocketry” chapter.) 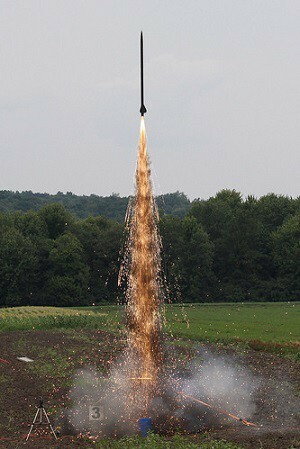 Identify and explain the following rocket parts. 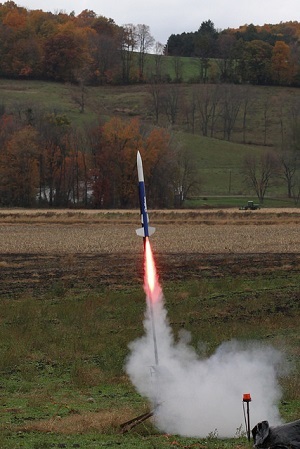 * If local laws prohibit launching model rockets, do the following activity: Make a model of a NASA rocket. Explain the functions of the parts. 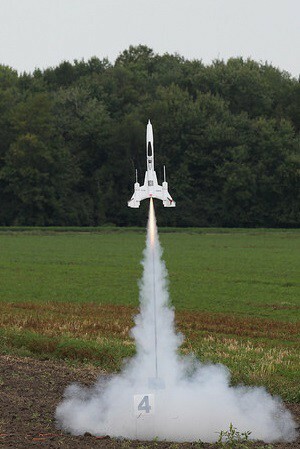 Give the history of the rocket. Discuss with your counselor a robotic space exploration mission and a historic crewed mission. Tell about each mission’s major discoveries, its importance, and what was learned from it about the planets, moons, or regions of space explored. your design will cope with the conditions of the planet’s or moon’s environment. Information about space exploration changes constantly. Each new mission makes discoveries and shows that some of our old ideas were incorrect. When you look up information about space and humankind’s efforts to explore it, always try to find a recently published book or a dependable website.